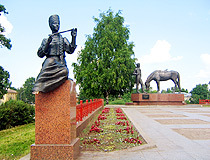 The capital city of Vologda oblast. 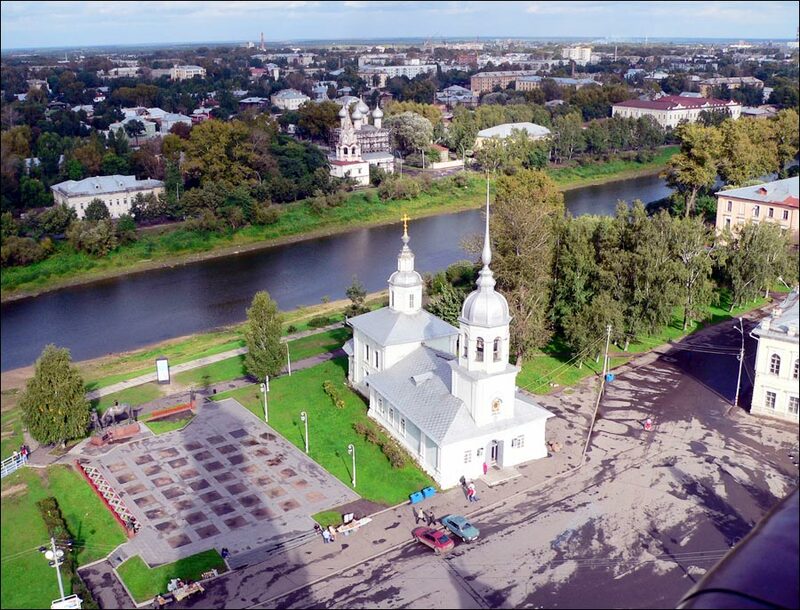 Vologda is a city in the north of the European part of Russia, the capital of the Vologda region, standing on the banks of the Vologda River about 465 km north-east of Moscow. It is one of the largest cities in north-west Russia, an important cultural, scientific and transport center. Vologda is among the cities that have particularly valuable historical heritage. 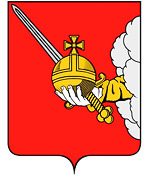 The population of Vologda is about 311,000 (2015), the area - 116 sq. km. The phone code - +7 8172, the postal codes - 160000-160555. Local time in Vologda city is April 18, 5:34 pm (+3 UTC). The official year of foundation of Vologda is considered 1147. This village, surrounded by woods, was inhabited by people engaged in dragging boats from the tributary of the Volga River to the tributary of the Northern Dvina River. It was the way to connect the White and the Caspian seas. Until the end of the 14th century, Vologda was subordinate to the Novgorod Republic. However, since the end of the 13th century, because of its favorable geographical location at the crossroads of waterways, it was frequently the subject of wars between Novgorod, Tver and Moscow princes. 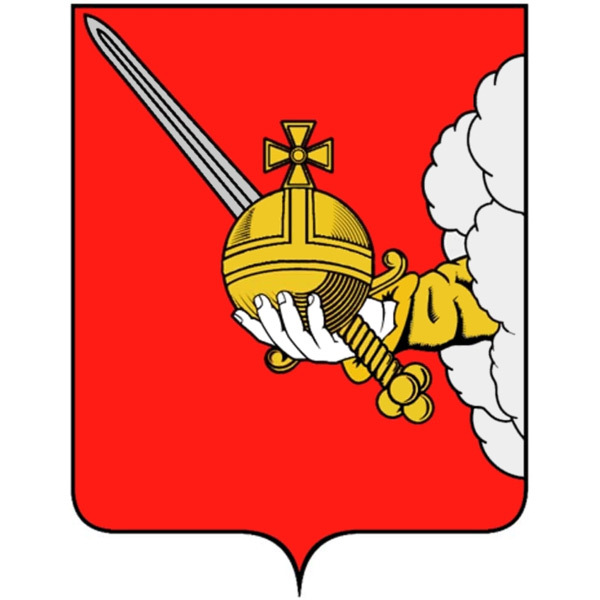 In 1481, Vologda finally became part of the Moscow principality. The settlement was used as an outpost located on the northern border of the kingdom. By the end of the 15th century, Vologda became larger and more important than the town of Belozerks, the historical center of the area. During the reign of Tsar Ivan IV the Terrible, Vologda became one of the major transit centers in Moscow’s foreign trade with England, the Netherlands and other Western countries. 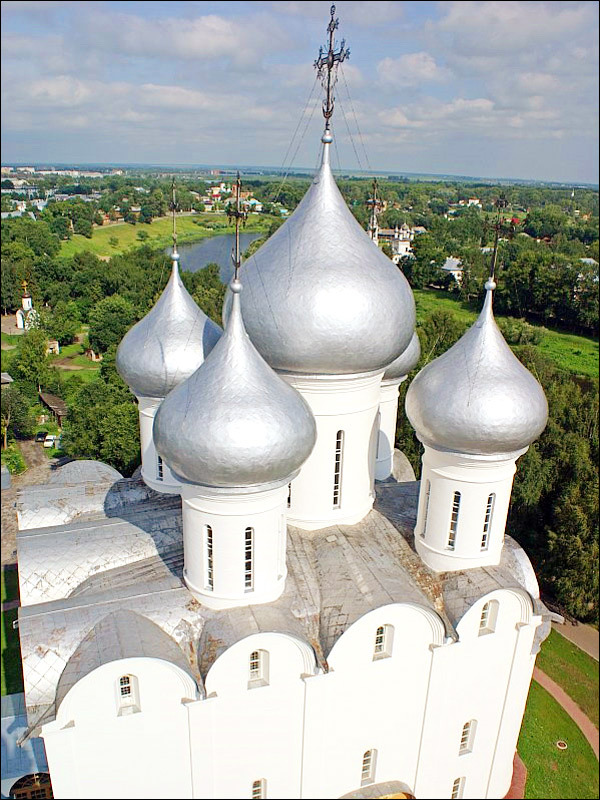 In 1568, on the territory of the Vologda Kremlin, construction of a new cathedral church began. St. Sophia Cathedral was the first stone building of Vologda constructed on the model of the Assumption Cathedral of the Moscow Kremlin. 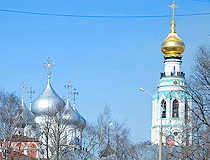 After the end of the Time of Troubles, Vologda experienced a new flourishing. At the end of the 17th century, it was the largest Russian town after Moscow and Yaroslavl. It was not only an administrative center of the region, but also an important center of commerce engaged in trade with Western countries (bread, salt, livestock products). During the reign of Peter the Great, Vologda became a major military base and shipbuilding center. However, with the founding of St. Petersburg, which opened the sea route to Europe via the Baltic Sea, the importance of Vologda as a center of Russia’s foreign trade fell sharply. Over time, it turned into an ordinary provincial town. New economic rise of Vologda was connected with steamship traffic on the Sukhona River and the construction of the railway line connecting the town with Yaroslavl and Moscow (1872), Arkhangelsk (1898), St. Petersburg and Vyatka (1905). In 1871, the entrepreneur F.A. 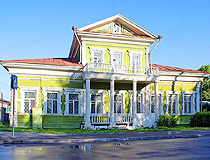 Buman opened Russia’s first specialized butter factory in the village of Marfino in Vologda district, and, in 1872, another dairy plant in the nearby village of Fominskoye (13 km from Vologda). 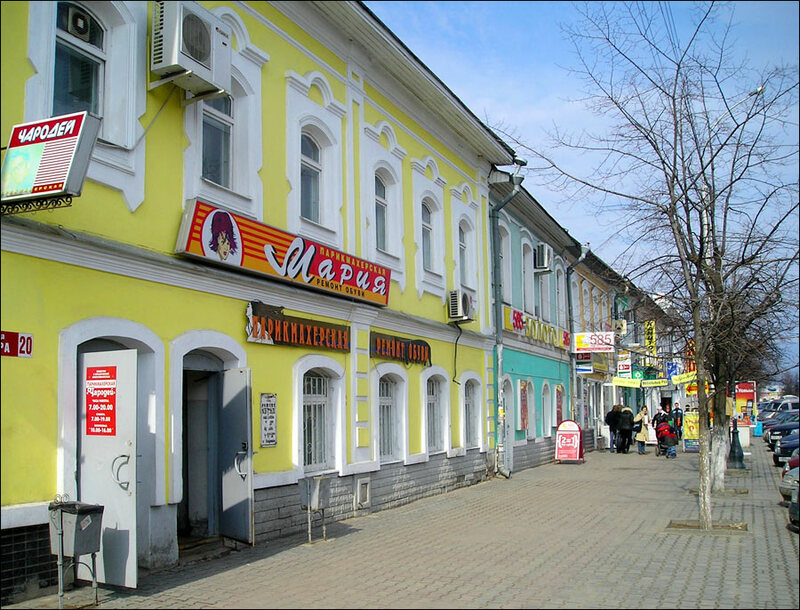 Since then, Vologda turned into a center of butter production and Vologda butter became a global brand. 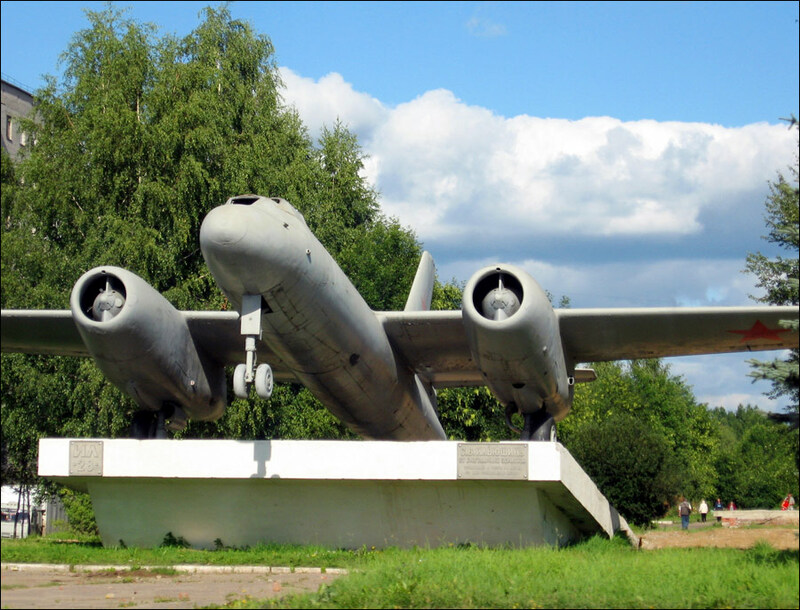 By the beginning of World War II, the population of Vologda was about 100,000 people. The city was an important hospital center. In the postwar years, Vologda became a large engineering center. The rapid growth of the industry caused an intense inflow of population. In 1979, the city’s population was 249,000 people. 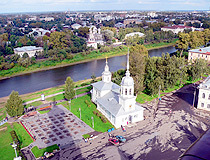 Vologda is a major economic center of the region, and the North-West Federal District with a developed industry and diversified service sector. The basis of the local industry was formed mainly in the 1950s-1980s. The city is located in a zone of moderate continental climate with relatively warm, short summers and long cold winters. The average temperature in February - minus 10.9 degrees Celsius, in July - plus 18.6 degrees Celsius. 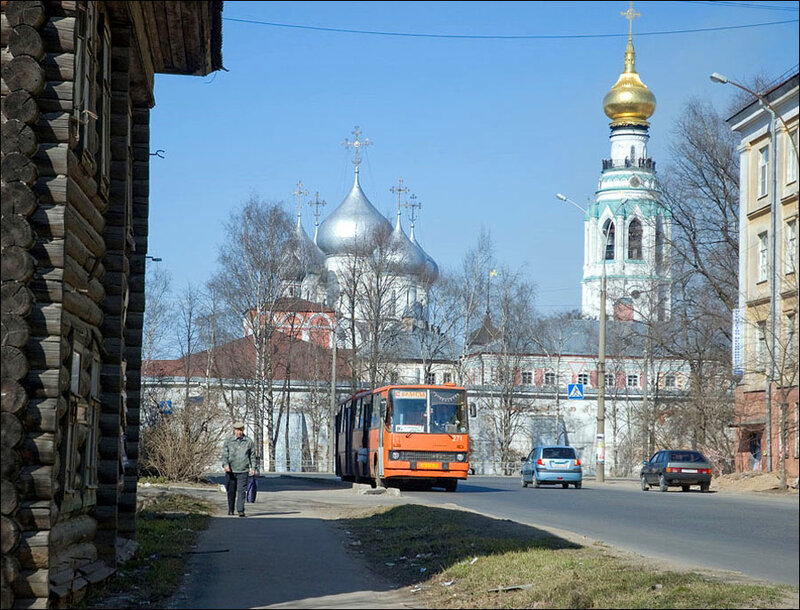 Vologda is one of the largest transportation hubs of the North-West Federal District. The following federal transportation corridors pass through the city: the road and rail route “South-North” (Moscow - Yaroslavl - Arkhangelsk) and the Trans-Siberian Railway (Vladivostok - Chelyabinsk - Kirov - Vologda - St. Petersburg). Public transport is presented by buses and trolleybuses. It is one of the Russian cities with a particularly valuable historical heritage. There are a lot of architectural monuments of wooden and stone architecture, historical and memorial museums, green parks and gardens with pristine nature. Vologda is also a festival center of the country continuing the ancient traditions of the Russian land. The city annually holds cultural events of national and international scale - the International Theater Festival “Voices of History”, International Festival of Linen and International Festival of Lace “VITA LACE”, International Festival “Voice of Crafts” and many others. 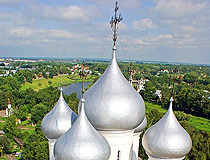 Vologda has more than 200 historical, architectural and cultural monuments. It is one of the most preserved large cities in Russia, which historical outlook was formed by harmonic combination of stone and wooden architectural monuments. The historic center of Vologda, where you can find the main sights and monuments, is located on the territory bounded by the railway line Moscow-Arkhangelsk on the south and west, Mira Park and Nekrasova Street on the north, Gorky and Levicheva streets on the east. The most ancient monuments preserved on the territory of Vologda belong to the 16th century: Cathedral of St. Sophia (the oldest surviving stone building in the city located in the Vologda Kremlin) and Spassky Cathedral of Spaso-Priluki Monastery in the village of Priluki. 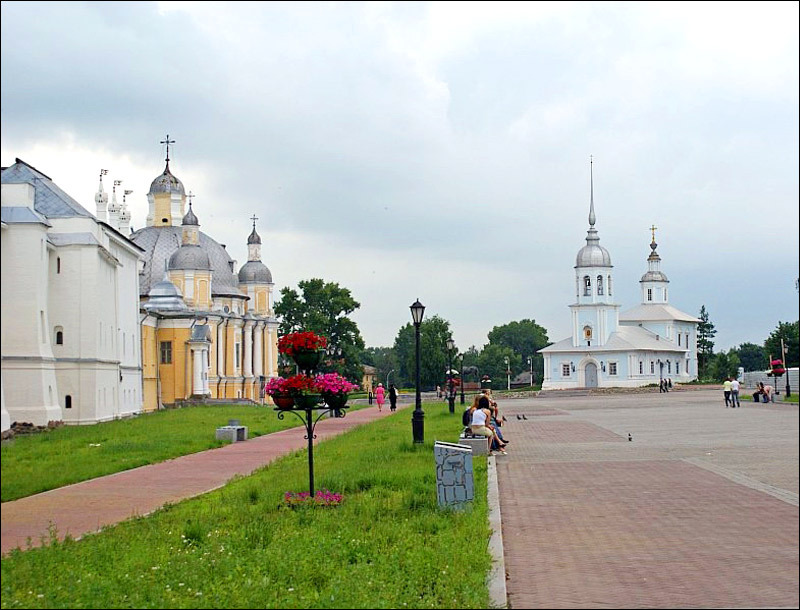 The construction period of the majority of stone churches of Vologda refers to the end of the 17th century - the 18th century. Vologda monuments of wooden architecture are of special interest. 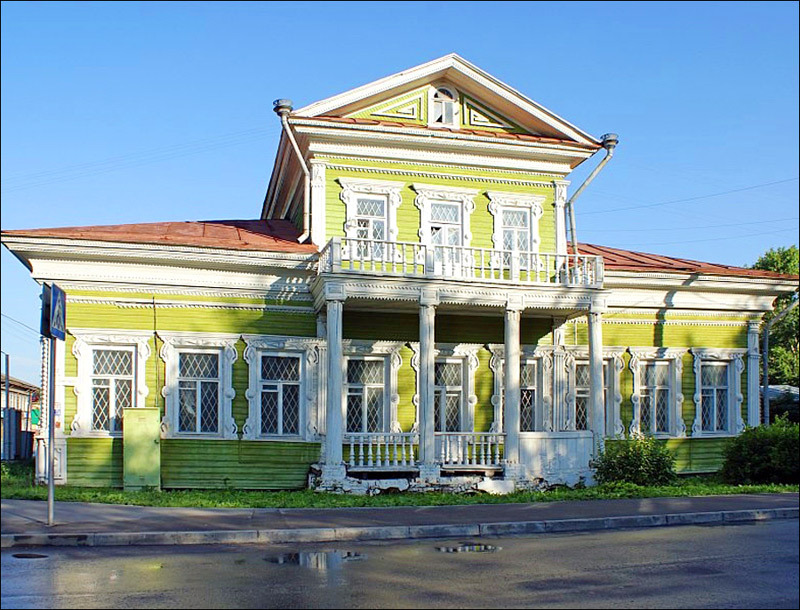 Preserved wooden houses and estates of the 18th-19th centuries are represented in all the architectural styles of the time: Classicism, Empire, Eclecticism, Art Nouveau. Vologda laces, goods made of flax and butter are traditional Vologda souvenirs. Architectural-Ethnographic Museum of the Vologda region “Semenkovo” has an open-air exhibition of rural wooden architecture, museum of Vologda butter. Vologda Regional Philharmonic (Lermontova Street, 21). 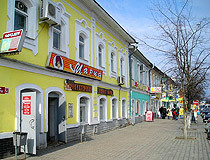 Tourist Information Center “VisitVologda” (Chekhova Street, 12). Such a beautiful place to live. I am emailing a girl called Irina and would visit this town if all goes well. I will like to visit this city one day, in my 'bucket list.' Just know a woman name Sabina. What a lovely town, clean and friendly looking would love to live there.I am emailing a lovely girl from your town called Yulya, so who knows?